Witchy Words: Thank you to the LEARN Home Education Network! Thank you to the LEARN Home Education Network! On Wednesday morning, I presented a short lecture over Paganism and Wicca to a small table of students through the LEARN Home Education Network here in Kansas City. I wanted to give a quick shout out to them, thanking them for their excellent listening skills, attentive questions and respectfulness! And a huge thank you to Cheryl, who asked me to be a speaker. 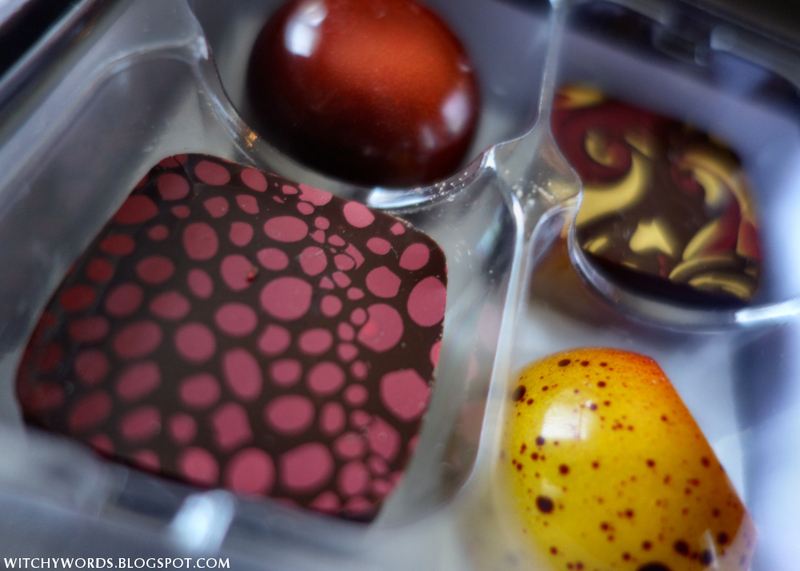 They gifted me with wonderful Christopher Elbow chocolates, pictured above. Needless to say, they've already been consumed but they were absolutely divine. Thank you again, Cheryl and students! It was such a pleasure to talk with you all. And happy Spring Equinox everyone!